Velvet is one of my favorite fabrics every winter season, because of its softness and coziness for wearing. 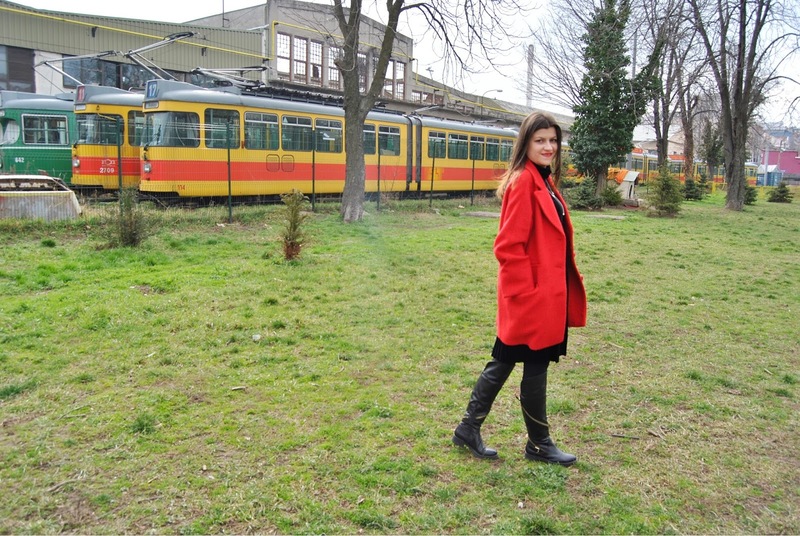 This time I've picked lovely black velvet dress with turtleneck and paired it with bright red coat, long boots and quilted leather bag. Long silver necklace spiced up the look. 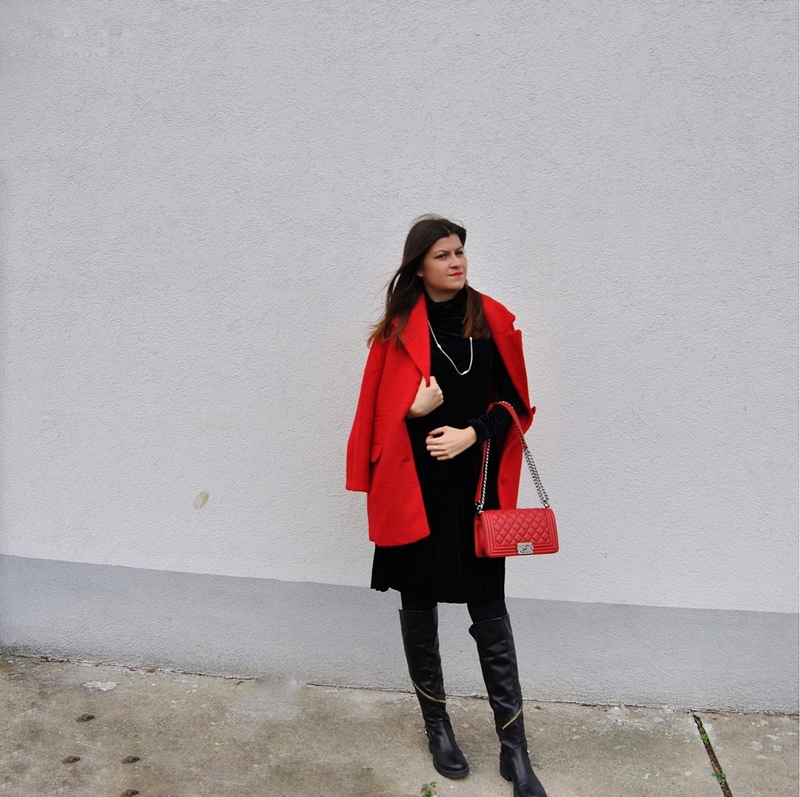 Black & red are always the perfect match, right! 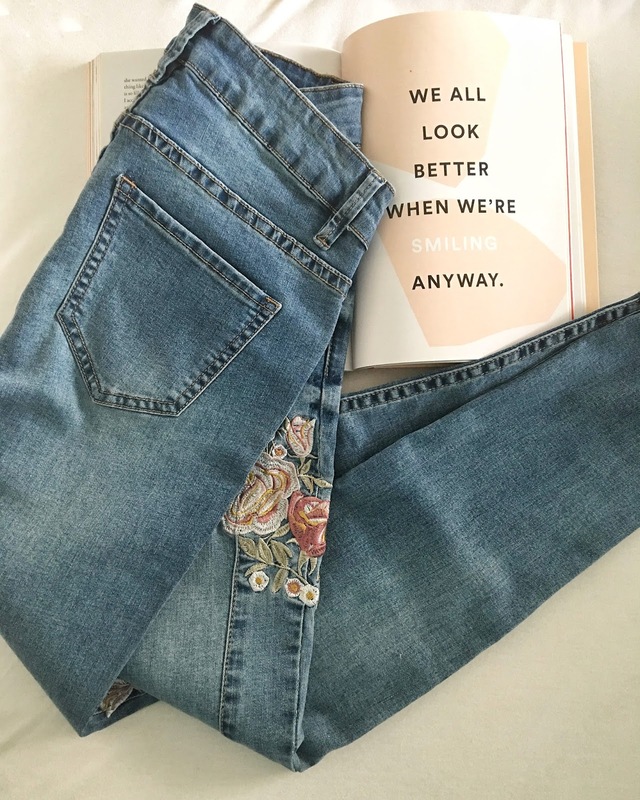 After outfit photos, you can see lovely floral embroidered jeans which is ideal item for the upcoming spring season. Dress and jeans come from amazing online store Stylebest where you can simply find a lot of super trendy items. Also, I have a surprise for you :) With coupon: Styledress you can get 30% on its all offer and also on the sister's website with coupon: APPARELoff you can get 30%.